How precious is this? 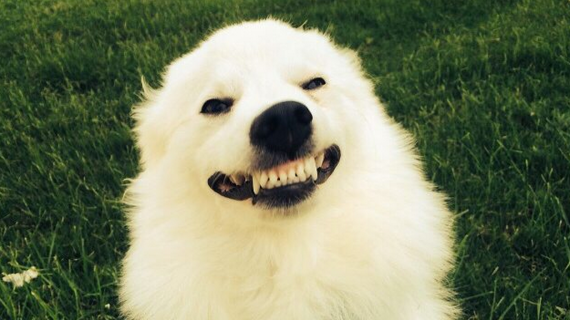 Dad asks to see the dog’s “creepy” smile, and the dog doesn’t hold back! What an adorable dog. He seems so bashful while trying to lay on the biggest and best smile possible. Imagine walking in to a greeting like this every day! Is there anything better than a doggy smile?